The commercial production of Samsung's flexible AMOLED displays will commence Q2 of 2012, in Samsung Mobile Display's new 5.5Gen factory that recently opened shop, said the company. This will open the door to all kinds of gizmos, like phones and tablets, being graced with the bendable goodness. While it is unlikely that a truly bendable or foldable phone or tablet will emerge out of this, since we have other physical components that don't do yoga, the new displays will at the very least make our current gadgets more resistant to damage. At least Samsung is fine smashing them with a hammer. The flexible AMOLEDs are layered on top of special plastic substrates, instead of the classic glass ones, and Samsung will expand mass production of the plastic substrates next year to meet its production goals. That surely opens the door to numerous possibilities, as diverse as lighting fixtures and high-resolution wrist watches, for example. Samsung is definitely planning to use those in phones and tablets of its own making, too, but if it is also considering wearable phones with the curvy image-producing sheets, like the above-mentioned wrist watches, that would certainly be something to wait for. Still, come on, where is our tablet, whose screen folds or snaps back into a phone format at will? So many movies and design concepts (see the second video) have shown these already, how hard can it be? How cool is the second video! Still waiting for that fluid interface in the cellphones and that big screen in the dude's office rocked! Windows phone metro UI, anyone? Lighter and more resistant to damage. Edge-to-edge screens are in our future. A 5.5inch edge to edge screen with a 1.85 aspect ratio and 1080p would be smaller than the Samsung Infuse! 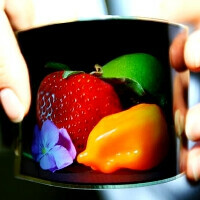 A 5 inch 1.85 aspect ratio 1080p edge-to-edge flexible screen would be the optimum size. It would be smaller than the Samsung Galaxy S II, and far more pocket-able. Imagine a quad-core edge-to-edge 5 inch flexible android handset. ATTCallCenter, You are correct, but shattered screens will disappear. Although I wonder how scratch resistant these flexible screens will be. If they don't scratch and don't shatter then this is definitely the future of phone, tablet, computer, and television displays. Yeah, this stock is going to pay-out, bigtime.